Despite the fact that electric cars are relatively new, they have already managed to earn a negative badge because many people consider them boring, odd, and generally unexciting. Meanwhile, brands like Fisker or Tesla have given their best to change this general impression, but unfortunately, the segment is already crowded with many unexciting and doubtful EVs which make their work even harder. On the long list of poorly built and sluggish electric vehicles, you’ll find the Aixam Mega e-City. 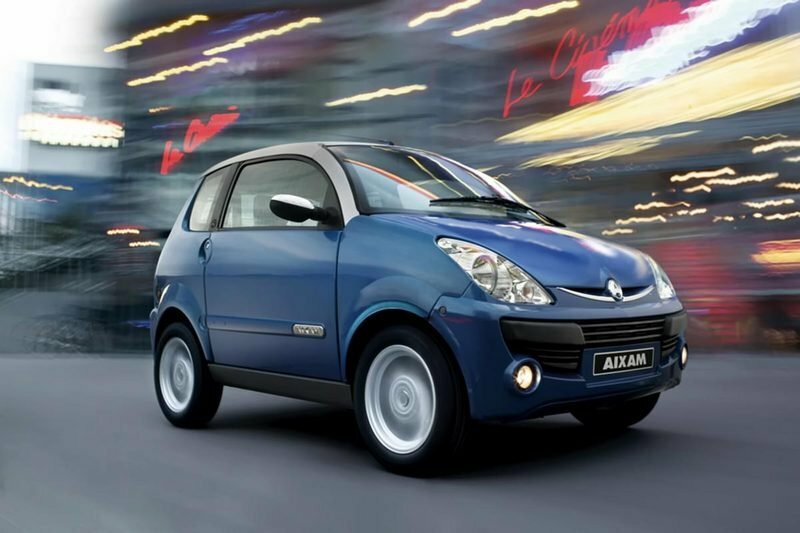 Until recently, Aixam Mega was mostly known for its electric utility vehicles, but from 2007, the company started to sell their first electric passenger car named the e-City. 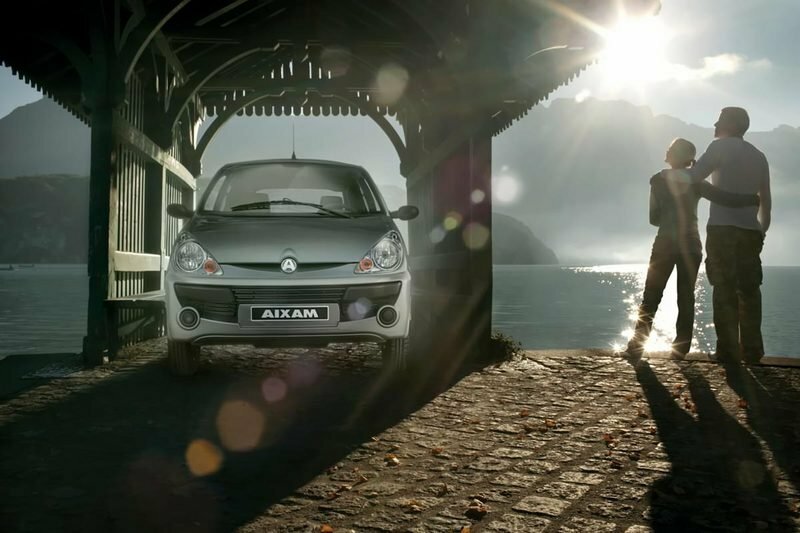 The Aixam Mega e-City is 100% electric and features a 2+2 seat configuration. At the heart of the car sits small 13 kW electric motor which sends its power to the front wheels. The motor is kept alive by a pack of AGM lead batteries which offer a maximum range of merely 65 km. The Aixam Mega e-city’s price starts from $20,150 and is offered with a two year guarantee for parts, labor, and batteries. Unfortunately, even if the car has been around since 2007 and its price is relatively cheap, it never managed to attract a lot of attention from the buyers. Hit the jump for more information on the Aixam Mega e-City. The Aixam Mega e-City features an ABS body built on an aluminium frame. Since it was designed exclusively for city driving, the car’s exterior dimensions are pretty small at only 2959 mm long and 1492 mm wide. The design is pretty conventional and is generally well put together. Up front, there is a thin chrome plated grille which bears the company’s badge in its center. On each side of the grille, there are two high power headlights, designed to improve lighting in width, as well as in bad weather. Lower into the bumper, there are two circular fog lamps which further enhance the road visibility. Speaking of the bumper, it features a basic style and is fitted with a relatively wide air intake finished in black. On the profile, we find a set of flared fenders which house the small 14 inch alloy rims shod in 155/65/R14 tires. The roof line is nearly flat and, together with the A pillars, is painted in a different color than the rest of the body, which gives the vehicle a pretty unique appearance. Like the grille, the wing mirror shells have also received the touch of chrome and thanks to this shiny treatment, they look slightly more upscale. The back of the car looks nice too and we like the vertically placed taillights and the wide rear screen which gives you a clear rearward visibility. On the other hand, the overall build quality leaves much to be desired as there are big panel gaps all over the place, as well as many poor fittings. Surprisingly the e-City’s interior is much spacious than we hoped and you even got a 900 liter boot. Though, don’t expect to any wonders as the cabin is still pretty cramped even if you won’t complain about head- or leg-room. You’ll also like the dashboard which is simple but modern, without any uninspired lines to spoil the fun. The plastics quality and the rest of materials are of average quality, but we especially like the leather grain aspect of the dashboard and the soft touches found on the doors panels. 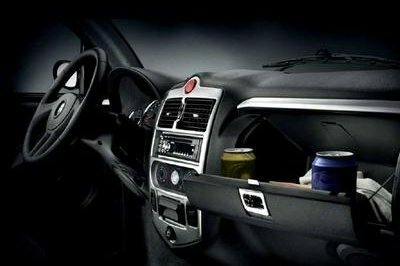 On the other hand, the fit and finish should’ve received a bigger attention from the company’s engineers. You have easy access to the various controls, as well as to the ventilation and heating system. The instrument cluster can be also read without any problems and generally, the ergonomics of the e-City are decent. The seats are on the basic side of things and aren’t available with height adjustments. As it was expected, the rear seats are cramped and offer limited leg room, but this is a usual issue found among the majority of today’s two-door city cars. On the features list, you’ll find a radio CD with MP3, central locking, and electric windows. The electric motor is mounted up front and delivers a maximum power of 13 kW. The motor is powered by a pack of 12 V AGM lead batteries which can be fully charged in 8 to 10 hours to a domestic plug. As you’ve probably imagined, the e-City’s acceleration is unimpressive. You’ll have to wait 13.7 seconds with your foot planted on the go pedal only to reach a top speed of 30 mph. Unfortunately, the vehicle’s range won’t make things better either, as is rated at merely 37 miles, being among the lowest you’ll find in the class. At least, the car is equipped with regenerative breaks, which give it some extra range. 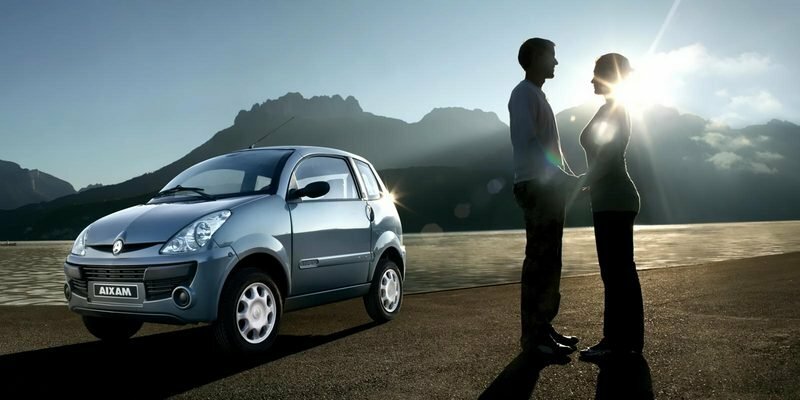 However the stopping distance is longer than you might expect, which is a pretty important issue, especially for a city car. The Aixam Mega e-City is indeed pretty cheap, but its price is still too high for all its shortcomings. It may look good both on the inside and on the outside, but it’s poorly build and feels cheap. The on road performances are its worst part, as the electric motor is too sluggish even for city driving, while the 37 miles range offered by the dated batteries will drastically limit your travels.